Arkansas Black Apples Sweet-Tart Mid-Late Oct.
Cameo Apples Juicy-Sweet Late Sept.
Candy Crisp Apples Juicy-Sweet Late Sept.
Cortland Apples Sweet-Tart Early-Mid Sept. 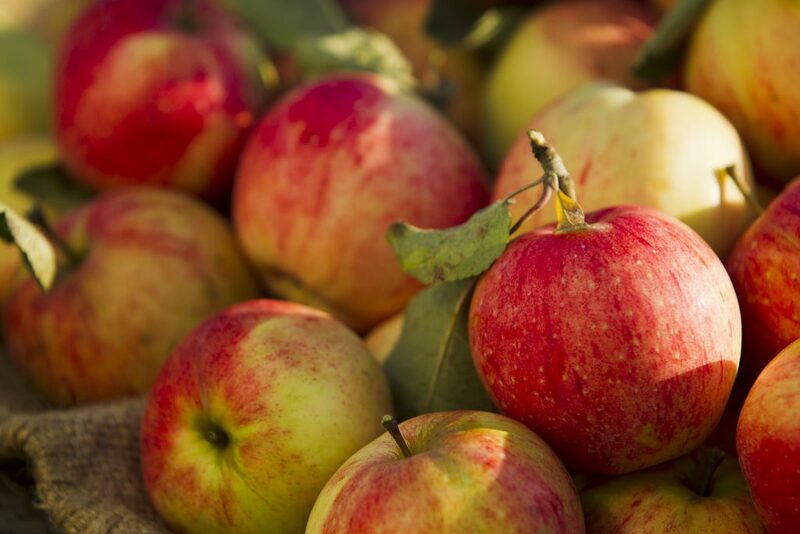 Early Fugi Apples Sweet Early Sept.
Fugi Apples Sweet Mid-Late Oct.
Gala Apples Sweet Late Aug.
Ginger Gold Apples Sweet-Tart Late Aug.
Granny Smith Apples Tart Sept.-Oct.
Honeycrisp Apples Sweet-Crisp Late Aug.
Jonagold Apples Sweet-Crisp Late Sept.
Mcintosh Apples Tart Late Sept. Pink Lady Apples Tart-Sweet Late Oct.
Rome Apples Sweet-Tangy Late Sept.
Splendor Apples Juicy-Sweet Late Sept.
Staymen Winesap Apples Sweet-Tart Oct.